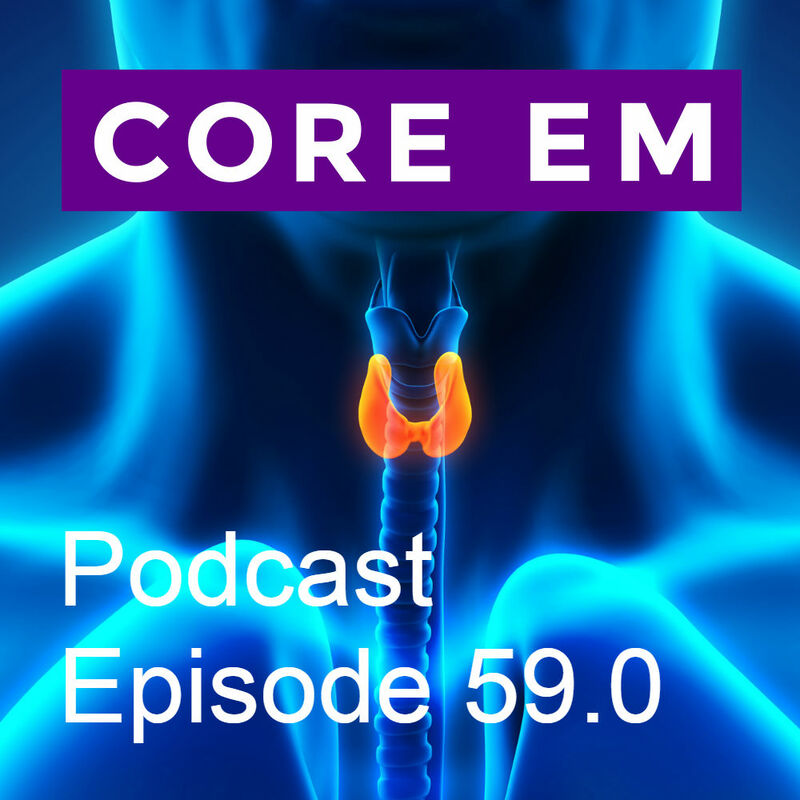 This week we discuss the recognition, diagnosis and treatment of severe decompensated hyperthyroidism or thyroid storm. Decompensated hyperthyroidism is a rare, life-threatening condition. It can develop in patients with long-standing untreated hyperthyroidism and is often precipitated by another event such as an infection, surgery, or trauma. Patients present with tachycardia, fever, altered mental status and GI symptoms. 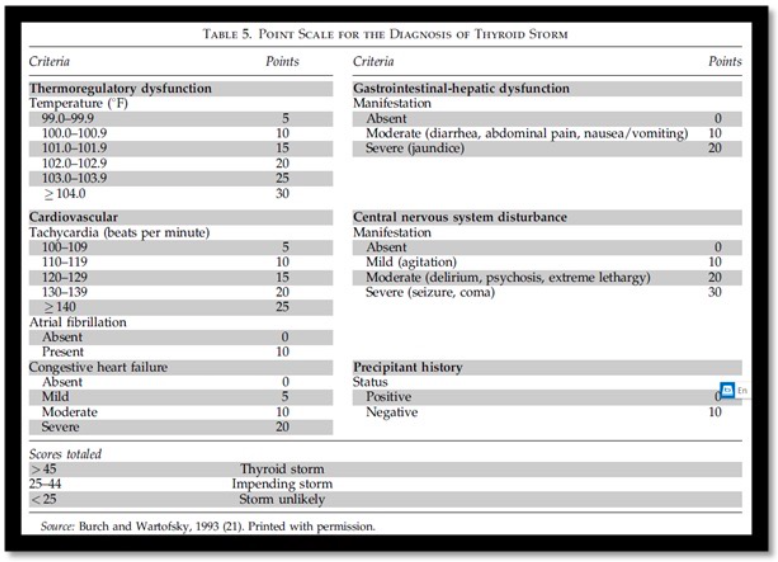 Keep thyroid storm in mind if a patient has a history of hyperthyroidism or if things just aren’t making sense with your patient, you can’t find a fever source, they have fever and new afib, things like that. You’re going to use a clinical scoring tool like the Burch-Wartofsky scoring system to make the diagnosis. Treatment is three-fold. First treat the peripheral effects with propranolol. Then prevent further synthesis of thyroid hormone with PTU and corticosteroids. And last prevent the further release of thyroid hormone with iodine. Be sure to hold off on giving the iodine until at least 1 hour after the patient receives PTU to avoid worsening the hyperthyroid.